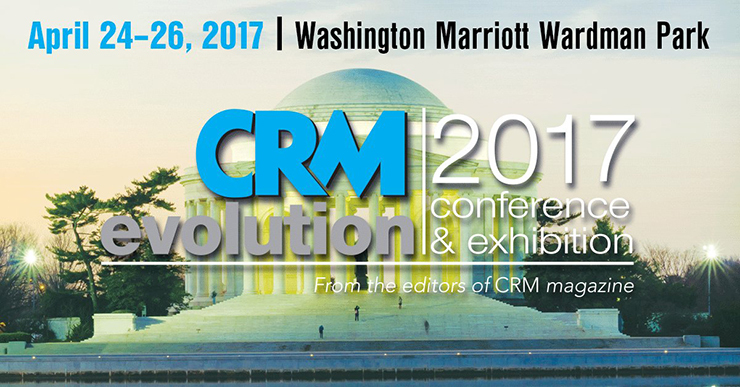 On April 24 – 26, the Nation’s Capital plays host to CRM Evolution, accompanied by the Customer Service Experience and SpeechTEK conferences running concurrently. Sessions at the conference hosted by CRM Magazine run the gamut from customer engagement innovation and best practices, digital transformation, AI, conversational interfaces, bots and virtual assistants. All sessions showcase the exciting future of customer engagement and customer service as discussed by top industry analysts including Paul Greenberg, Ian Jacobs, Esteban Kolsky, Rebecca Wettemann, Josh Greenbaum, Brent Leary and more. Microsoft is pleased to once again be a platinum sponsor of CRM Evolution. We invite you to join us at the event for key speaking sessions which begin on Monday, April 24, with Microsoft Dynamics 365 Principal Program Manager Kishan Chetan discussing the innovative future of customer engagement and the digital transformation success stories Microsoft is creating for customers with Dynamics 365. Then on Tuesday, April 25th, Microsoft Dynamics 365 Principal Program Manager Kishan Chetan joins Oracle VP of CRM Product Management and Product Strategy Melissa Boxer; VP of Products for Salesforce Einstein Marco Casalaina; SAP Hybris Global VP Volker Hildebrand and Lithium Chief Data Scientist Michael Wu for an exciting and insightful panel discussion on artificial intelligence’s role in shaping modern customer engagement. How AI is impacting the adoption of new tech initiatives, including chatbots, digital assistants and IoT. There’s no denying the interest and attention artificial intelligence (AI) has today in the enterprise. But how should your organization leverage the power of AI to improve the way it interacts with customers across all phases of the customer lifecycle? Learn more at CRM Evolution. The above are just the Microsoft-related sessions of the conference. The collective takeaways from CRM Evolution, Customer Service Experience and SpeechTEK are impressive. Read 16 top takeaways from the 2016 conference here. If you’re going to CRM Evolution or the accompanying Customer Service Experience or SpeechTEK conferences, be sure to say hello to the Microsoft Dynamics 365 team. We look forward to talking with you about best practices and continued innovation in CRM, customer service and customer engagement. If you can’t be there in person, be sure to follow the conference conversations on Twitter April 24, 25 and 26 using the hashtags #CRMEvolution, #CustSE and #SpeechTEK and watch for Microsoft’s Top Takeaways post following the conference.